I decided to sit on this famous saying for a few weeks because it was hard to track down the origin, but I might have found something in my research that I would like to share. Of course, many of us know the term “strong as an ox” usually refers to a male. Oxen are strong animals, so it is understood that a man who is “as strong as an ox” has massive strength — or in rare cases, the person speaking about him is being facetious. Also, this phrase made me brush up on my grammar. 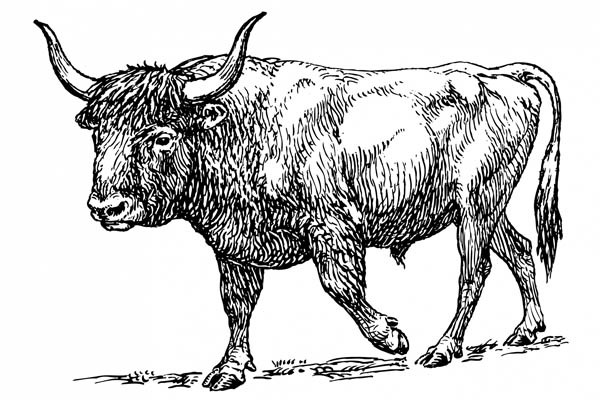 As I suspected, the term “[As] strong as an ox” is a simile because it uses the terms “as” or “like” to make a comparison between two dissimilar things (“Simile”). If this was a metaphor, which also makes a comparison between two things, the man would be called an ox and that might be followed by drawn out imagery to reinforce that comparison. But when did this idiom originate? You might have an idea, but it might be older than you think.